Sandy has a passion for helping small businesses grow. 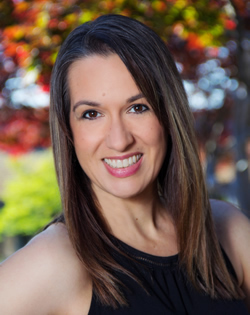 She founded MSW Interactive Designs in 1999 with the goal of helping small businesses build an effective presence online. It started with websites, and has grown to social media, SEO/SEM, text marketing, newsletter marketing, directory management, smart wifi, smart visitor ID, and more. While technology has changed dramatically over MSW’s 20 years, her goal has not. She currently leads MSW's team of 16 talented designers and content creators and serves her client-base of more than 1,500 businesses nationwide. Prior to starting the company, Sandy worked as a Senior Engineer for BAE Systems on the Lockheed Martin Mission Systems team. She build web-based training applications for US Air Force program and US Space Command Programs. She transitioned from DoD work to more business-oriented projects with a company in Colorado Springs called Horizon Interactive/e-Publishing Corp for two years. 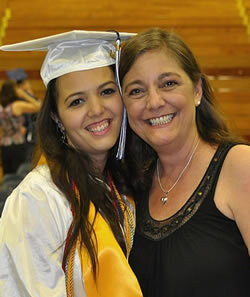 Prior to her professional work at BAE Systems and Horizon Interactive, she taugh high school mathematics at the Las Vegas Academy for International Studies and Performing Arts. Sandy is the current President of the Board of Directors for the Lake Area Chamber of Commerce and serves on the Advisory Board for the Lake Area Big Brothers Sisters Program. She’s received numerous business awards over the years, including: Top 10 Business Women by at Lake of the Ozarks by Lake Media in 2012, Business Person of the Year in 2012 by LOREDC, “Woman Making Her Mark” award by Lake Today, Small Business of the Year in 2014 by the Lake Area Chamber of Commerce, and Board Member of the Year by the Lake Area Chamber in 2017. She was also named a finalist multiple times in the International Stevie Awards for Women in Business: 2004 Technology Innovator of the Year, 2004 Fastest Growing Company, 2005 Best Entrepreneur, 2005 Online Marketing Campaign of the Year, 2008 Best Entrepreneur. Mike served 24 years as a decorated fighter pilot in the United States Air Force before retiring as a Colonel. He joined Sandy in business in 2009. His leadership experience in both small and large organizations allows him to bring his skill set to bear in building great relationships with our clients, and keeping our team running smoothly. 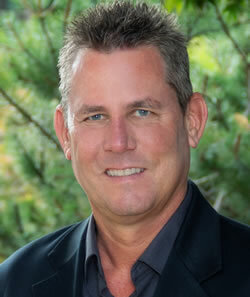 Mike leads the business development efforts for the company, and is also the human resources director. He is also heavily involved in the Lake of the Ozarks community. He is currently on the Board of Directors for the Convention and Visitors Bureau working on efforts to promote tourism and economic development in the lake area. He has served on the Boards of the Community Foundation of the Lake, Support the Fort, and is a past president and Kiwanian of the year 2013 for the local Kiwanis organization. Mike received the Missouri Lt. Governor Veteran’s Service Award in 2015, Lake Lifestyles Community impact award in 2015, and was named the Lake Area Chamber of Commerce Distinguished Citizen Award in 2016. 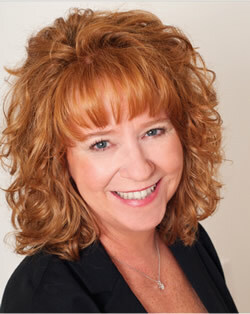 Sherrie Thompson has been with MSW Interactive Designs, LLC for more than 14 years. 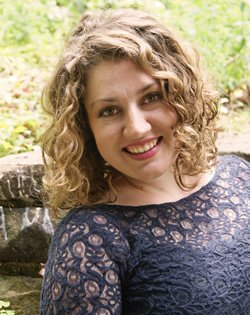 Originally from Knoxville, Tennessee, she lives in and works remotely from Fairfax, Virginia. Sherrie graduated from the University of Tennessee in 1987 with a BA in Biology. She was a high school science teacher for three years until returning to the University of Tennessee to complete her Masters in Public Health with a concentration in Health Planning and Administration, graduating in 1992. She has held various positions in the health care community, the most recent being the Coordinator of Hemophilia Services at the University of Tennessee Medical Center. Sherrie joined MSW in 2003. Since that time, she has worked with hundreds of clients updating their business and ecommerce websites. Sherrie is dedicated to meeting our clients' needs in the most timely manner possible ... we like to call her our "secret weapon". She literally turns updates around so fast, clients barely have time to hit Send/Receive in their email from the time they request an update until the time it's done. Sherrie lives in Knoxville, Tennessee with her husband, retired Col. G. Kevin Thompson, her daughter, Delaney, and two Bernese Mountain Dogs. When not working, Sherrie and her family enjoy hiking and cheering on the Tennessee Vols and the Washington Nationals. Keith Lucas, former owner of 55 Creative joined our team in April 2015 as a website designer and internet marketing expert. 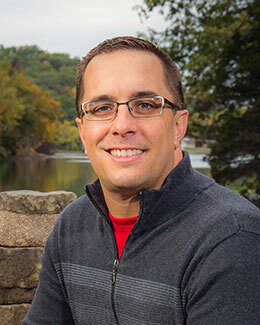 Keith brings a vast amount of experience, technical skills, and website design knowledge that complements and expands the internet marketing services we offer. Keith's background and experience includes over 10 years experience in marketing, sales, social media and web design. He has an expertise in Content Management System based web design, proficient in CMS programs such as WordPress and Joomla. Keith is a United States Army Veteran who has served in Iraq as a Combat Medic. Keith has been awarded the Combat Medical Badge & Army Commendation medal during his service. He is a graduate of the University of Missouri with a BA in Communications, and also received an AAS degree in website design from ITT Technical Institute. 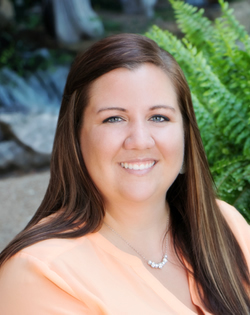 Hello, my name is Deanna Powell and I am a Social Media Coordinator at MSW Interactive Designs. I have lived in the Lake of the Ozarks area most of my life. After high school, I began college as a vocal performance major, but left after one year to begin a family. I now have three beautiful, adult children living in various parts of the country. Once my kids started elementary school, I added a few different jobs to my role as stay-at-home-mother. One was as a singing cocktail waitress at Studio's in the Lodge of Four Seasons. From there I bartended at many lake area restaurants over the years, meeting a variety of interesting people. Once my children were old enough to stop enjoying the lavish birthday parties that I threw for them, I decided to begin my own event-planning business, Events DEE-signed. I handled my own website and social media for that company, and when the chance to work for MSW came my way, Mike and Sandy saw promise in what I had done for those. I have learned a lot since starting this job, and I love getting the chance to learn more new things each and every day! Hello! My name is Laurel Leurquin, and I enjoy being apart of the MSW team as the Creative Services Manager. I studied Graphic Design in High school, and quickly realized it was my favorite thing to do. After seeing my design published on a book cover in my Sophomore year, I was hooked! Continuing my education through several Graphic Design Internships I then began freelancing, where my cover designs appeared on scores of published books and numerous custom-designed business cards. Along with that I began working for a promotional company in Springfield, MO, creating custom designs including t-shirts and promotional products, I learned the importance of listening to the customer to produce a one-of-a-kind customer service experience. I took a small detour in internet boat sales where I really honed in on what it means to listen to the customer to create a perfect match. In my spare time, I managed Social Media sites for several diverse companies and organizations - where I discovered I really love to interact with the online world of commerce, networking, and using the world as a corporate storefront. 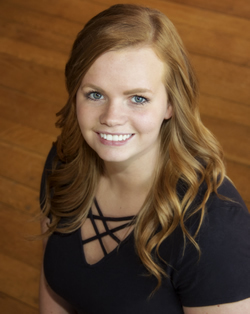 I moved to the Lake Area when I got married recently, and now I'm excited to be part of the MSW team, where I get to combine my interests in graphic design, social media, and customer service to create an online presence for your company that works 24/7 to help grow your business. When I'm not typing furiously, I’m living the lake life on a perpetual honeymoon with my husband, Nate, dabbling in photography, coffee bean roasting, herb gardens, repurposing neckties into fun creations (e.g. skirts, Christmas decor, teddy bears and more), cross stitching, hiking, ballroom dancing and perfecting the art of French Macaroons! 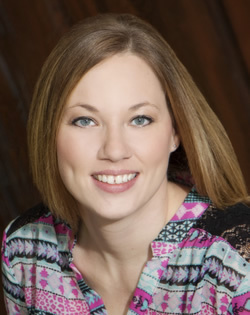 Hello, my name is Karen Horsman and I am a social media coordinator at MSW Interactive Designs. Originally, I am from a small town in Northwest Missouri, Maysville. After graduating high school, I moved to the Lake of the Ozarks and never left! I attended Columbia College – Lake of the Ozarks where I graduated with a B.S. in Business Administration with a major in Marketing. Once I started taking business classes, I fell in love with the marketing aspect. I like the idea of finding new, creative ways for businesses to reach their target customer. I’m thrilled to be a part of the MSW team! I get to pursue my passion of helping businesses succeed by getting their message out to their customers, while spending time with a great group people! What I love most is learning about a wide range of businesses, and what marketing strategies work best for each of them. In my spare time, my husband, Cory, and I enjoy traveling, spending time with family, and hanging out by the water. We have a sassy, but sweet fur-baby, Gabbie. We adopted her two years ago from Dogwood Animal Shelter and our lives have never been the same! My name is Rebbecah Samson and I am a social media coordinator at MSW Interactive Designs. Over the past 10 years I’ve dedicated my time to honing in on my business management and customer service skills, specifically in the Property Management and Real Estate world. I am an active licensed real estate sales person with the Bagnell Dam Board of Realtors. While I do not currently practice real estate sales, I plan to continue my education for as long as I am able. I also have two associates’ degrees: Associates in Human Services and Associates in Business Administration. Outside of work and education, my passion for life revolves around my pets and advocating for proper treatment of animals. My family and friends lovingly refer to me as the crazy dog lady! My fur family consists of two Miniature Schnauzers, an American Staffordshire terrier, a Dalmation-Pointer mix, a Callahoula hound, 4 kitties, and a Tennessee Walker horse – all of which were rescues. For some time, I focused strongly on “Pit Bull” rescue, but found that I became too attached to the rescues and had a very hard time letting go when the time came to re-home them, so now I focus my attention on advocating for them and educating those that are interested in learning about them. My free time is spent the best people in the world – my family. You will find us most weekends playing cards with the family, or watching the game – any game! Though, I am the outsider in the family since I’m a die-hard Cardinals fan and the rest of the family are die-hard Royals fans. There’s never a dull moment when we’re all together, and I couldn’t ask for better people to have in my life. I really started to get actively involved in internet marketing in July of 2015 as the Director of Social Media & Community Events at America's Incredible Pizza Co. in Springfield, MO. While I enjoyed writing about delicious pizza, I made the decision to move closer to my family and back to the Lake of the Ozarks area. I started here at MSW in May of 2017. I love the atmosphere here, the freedom to be myself, and express my creativity. My fellow team members are a joy to be around and Mike & Sandy are great people to work for! In my spare time, I enjoy spending time with my family & friends trying new restaurants and catching up. I have the cutest 4 year old niece an auntie could ask for. My family and I try to get as much boat time in on the Lake of the Ozarks as possible and we love to just relax in our favorite cove. I also happen to be a dog mom to my little fur baby, Gizmo. He is a black and white pomeranian and it looks like he is wearing a tuxedo fur suit. We enjoy our walks and play time! 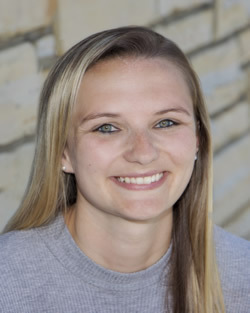 Hello, my name is Chasiti Begley and I am a social media coordinator at MSW Interactive Designs. I recently graduated from College of the Ozarks in Branson, MO where I received my B.S in Business Administration with an emphasis in Marketing. college. I haven’t been here long, but I have already learned so much about social media and internet marketing. I love helping businesses with their much-needed online presence. In my spare time I love hanging out with my husband, Levi, and our two fur-babies Higgins and Hoss! Spending time with my family is also very important to me. I like to spend anytime I can outdoors. Kayaking in the local rivers and creeks in the warmer months is one of my favorite things to do. If I’m not outside, you can find me in the kitchen trying a new recipe or baking some sweet treats. 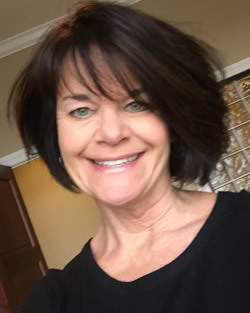 Mary Lou Menke joined the MSW team in November of 2015 as a part time office manager. She moved to Lake from Iowa where she owned and operated her own real estate auction company. After she retired at the Lake, she decided to jump in to a part time job, and we were thrilled to offer her one! Mary Lou is indispensable when it comes to keeping our client files in order, data entry in our account system, assisting with our recurring billing cycle each month, and managing our accounts payable. She's also a ray of positive energy in the office, which we love! Old school and dedicated, MSW Interactive Designs LLC would not be what it is today without Duane & Jane. 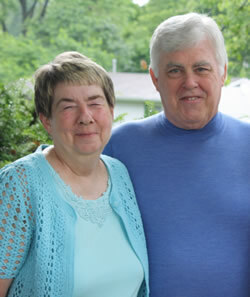 Duane is a retired Chiropractor and Jane has a background in billing and bookkeeping. She is also a retired business owner. Not long after Sandy started the business, the bridal side of the company (WhereBridesGo.com) started to grow quickly and she needed help. She reached out to recently retired Duane to see if he was interested ... that was more than 10 years ago and he still runs the day to day operations of WhereBridesGo.com. Jane manages our accounts receivable and helps keep the books in check.